Every year, in January, the students of Indian Institute of Technology, Kharagpur, organises a festival - the Spring Fest with 'Brobdingnagian' enthusiasm. The Spring Fest 2012, a four days event, was no different at all. 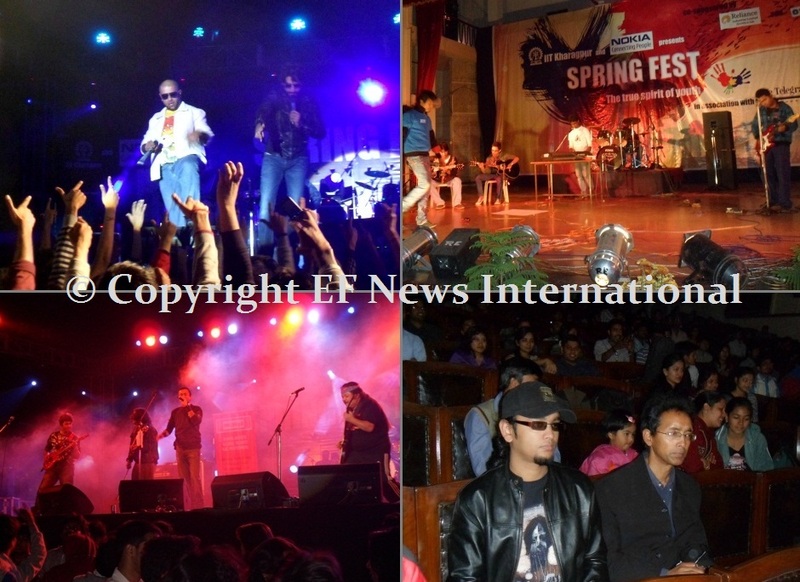 Spectators of Spring Fest 2012 witnessed some of the biggest names of the music and theatre industry in the country. Started on Jan 20, the festival was managed by the students of IIT Kharagpur and held in the campus of the institute. With delegates and contestants coming from all over the country, Spring Fest is one of the biggest festival ever held in Kharagpur, West Bengal. The festival started with an inaugural ceremony followed by the events Sanskruti and Hasya Kavi Sammelan on Jan 20. Wildfire, one of the country's biggest college rock competitions, went nationwide with prelims in cities like Bangalore, Delhi and Guwahati. The semi-finals of the competition started on Jan 21. The Mumbai based band Blakc, apart from performing in the fest on Jan 22, also acted as guest judge for the competition. Jan 21 witnessed another famous music competition and an acoustic western event, Lake Side Dreams. The competition was judged by Bangalore based institute Eastern Fare Music Foundation's directors Jim Ankan Deka and Ankur Deka. Some of the other events and competitions held on Jan 21 were Aurora, an audio–visual experiment, Israeli Classical by ‘Shye Ben Tzur’, Nukkad and the power house performance by the fusion band Mrigya. Jan 22 started with a Youth Marathon in the morning followed by Wildfire semi finals, Model United Nations and a Bollywood Hiphop Dance Workshop. Later, people roared with laughter and applause while witnessing an energetic performance by famous Bollywood actor Makrand Deshpande in the Hindi play Miss Beautiful. The other famous performers of the play were Nagesh Bhosle and Divya Jagdale. 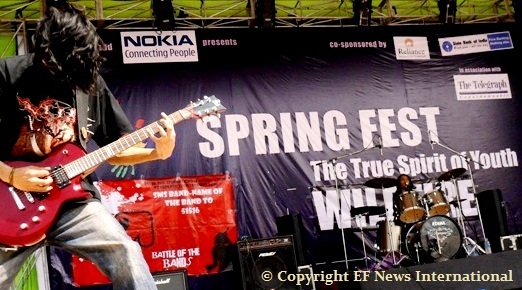 The star performers of the third day event were the members of the Delhi based band Parikrama. With more than 3000 spectators, the Jnan Ghosh Stadium turned into a fireball. Apart from many small events, Jan 23, the final day of the Spring Fest, started with an eastern music competition Sargam in the Netaji auditorium judged by Jim Ankan Deka and Ankur Deka. Towards the evening a photography workshop, Picture Perfect, was organised for the new generation photographers. The Spring Fest 2012 climaxed with a glorious performance by Bollywood music industry's famous duo Vishal - Shekhar.